Kelly and Kim's Kreations: Christmas in July! We are linking up with our wonderful friends Karen and Kelly from Kennedy's Korner to bring you a fabulous freebie you can use in your classroom! Make sure you grab it fast though, it is only free until July 27th! Don't forget to visit Kennedy's Korner to check out the rest of the awesome surprises! 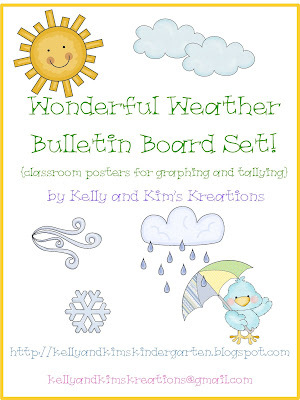 Our Wonderful Weather Bulletin Board Set will be a great addition to your morning meeting or calendar routine. There are so many skills wrapped into checking the weather daily. We have a weather helper that reports the weather to the class every day. We encourage compete sentences. For example: "The weather today is sunny." 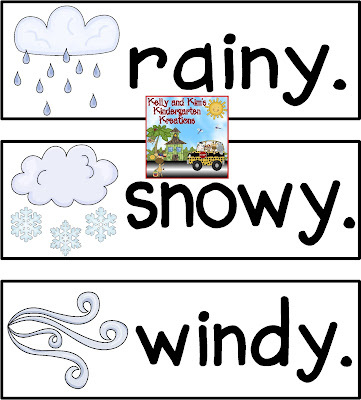 They will then complete the following sentence by using the sentence chart and weather words. 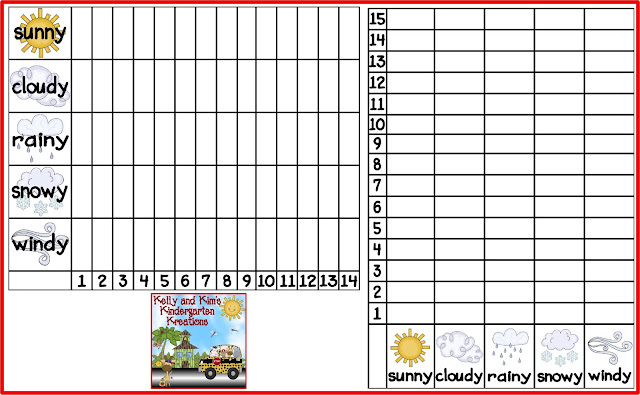 The child will then add a tally mark to the tally chart to keep track of our daily weather. 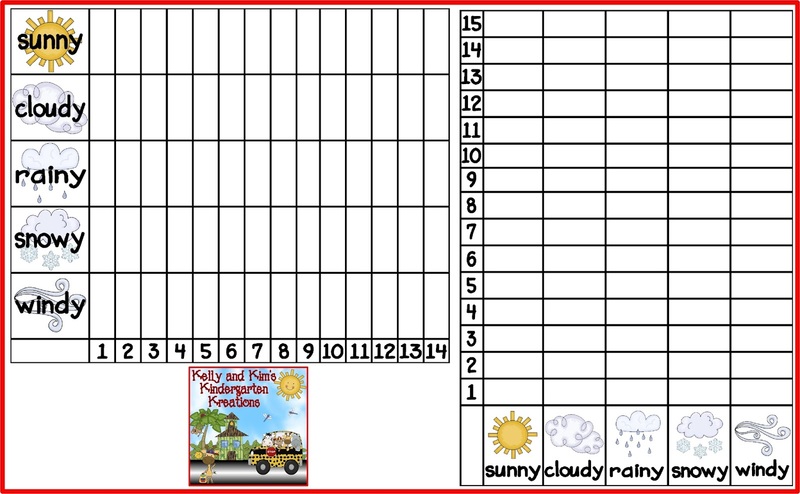 The weather helper then will color in the corresponding bar on the bar graph to display the data. We have included a horizontal and vertical daily weather graph allowing you to chose the style that meets your needs. Included is a standard page sized graph as well as poster sized. We have also added an additional graph that has partly cloudy as one of its choices. We hope you enjoy our freebie! You can click the cover page up above or click here to grab this product from our store. Thanks for visiting!! Celebrating the 4th with a SALE! !